In adolescent and adult patients with atopic dermatitis (AD), treatment with tapinarof cream is both effective and well-tolerated, according to the results of a double-blind vehicle-controlled randomized phase 2 trial (ClinicalTrials.gov identifier: NCT02564055) conducted at 53 sites in the United States, Canada, and Japan between December 2015 and January 2017. Findings from the study were published in the Journal of the American Academy of Dermatology. The investigators sought to evaluate the efficacy and safety of topical tapinarof cream (2 concentrations and 2 application frequencies) compared with vehicle in patients with AD. The participants were age 12 to 65, with AD body surface involvement of ≥5% to 35% and an Investigator’s Global Assessment score of ≥3 (ie, moderate or severe) at baseline. The primary study end points included an Investigator’s Global Assessment score of clear or almost clear (ie, 0 or 1) and a minimum 2-grade improvement (ie, treatment success) at 12 weeks. 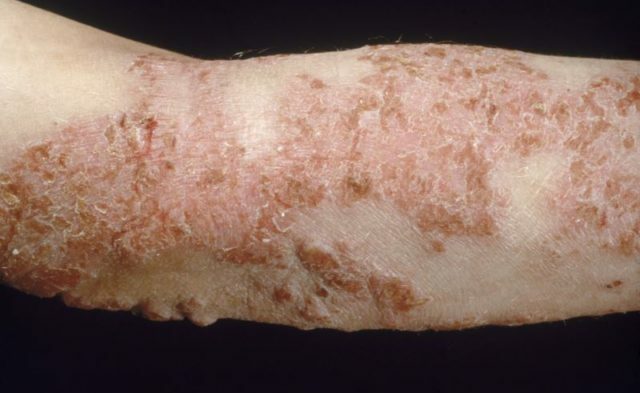 Secondary end points included a ≥75% improvement in the Eczema Area and Severity Index score and a reduction in the numeric rating scale for itch from baseline. At 12 weeks, rates of treatment success were 53% for a 1% concentration applied twice daily, 46% for a 1% concentration applied once daily, 37% for a 0.5% concentration applied twice daily, 34% for a 0.5% concentration applied once daily, 24% for twice-daily application of vehicle, and 28% for once-daily application of vehicle. The rate of treatment success with tapinarof cream 1% applied twice daily was statistically significantly higher than the rate achieved with vehicle cream applied twice daily (53% vs 24%, respectively; 95% CI, 6.5%-48.1%). Treatment success was maintained for 4 weeks following the conclusion of tapinarof therapy. The rate of treatment-emergent adverse events associated with the use of tapinarof cream was higher than that with vehicle cream (56% vs 41%, respectively), although all of the treatment-emergent adverse events reported were mild to moderate in intensity. A major limitation of the study was the fact that the study population was relatively small, and thus larger confirmation trials are warranted. The investigators concluded that tapinarof cream represents an important clinical advance in the development of topical medicine for the treatment of AD, with a unique mechanism of action that distinguishes this product from currently available topical therapies for AD.